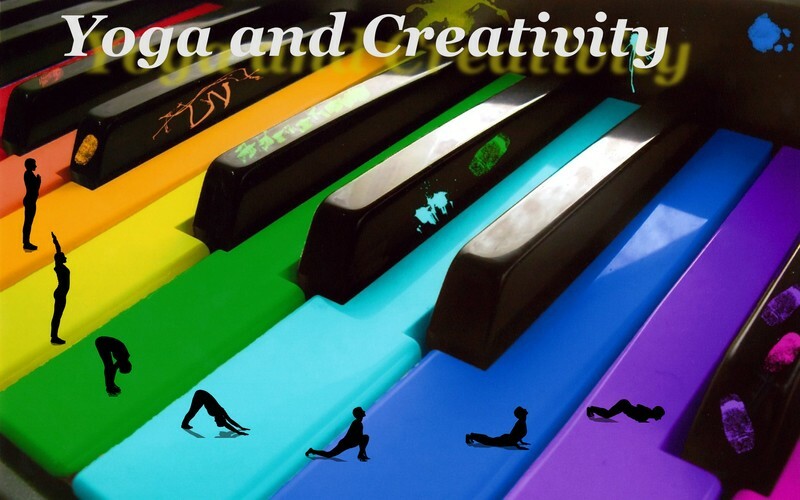 Yoga and Creativity can work together in all kinds of mediums, from writing, to painting, to music, or just dealing with issues coming up in whatever work it is you do. We need creativity in all aspects of our lives. While yoga is often thought of as a tool to help us find ease in the body, quiet the mind, and get in touch with our true nature, it can also be a way of helping us tap—and mine—our creative selves. Meditation and yoga grant us access to the deep places of our psyche and consciousness that inspire creative ideas to emerge, while simultaneously offering us tools to work with in our every day lives. Become inspired with Hatha yoga, learn to develop your writing skills, and discover the voice you have been holding back. Explore sound vibration (mantra) and the corresponding geometrical forms (yantra) to access and manage the different layers of the mind. Or just tap into your creative energy and see which expression is needing to be nurtured, be it dancing, singing, writing, painting, movement etc. Join Swami Kriyaratna and Sn Mangalananda on this 4 day retreat and discover your creative potential! Swami Kriyaratna Saraswati, has been practicing and teaching yoga for over 30 years. His journey began with the Satyananda Yoga lineage in 1981 where he first went to live and teach yoga at the Mangrove Yoga Ashram NSW. Until recently, he has lived mostly full time in ashram environments in NSW and also Rocklyn Ashram Victoria, in the spirit of seva (selfless service) sharing his exceptional commitment to yoga and its teachings to others. Kriya believes that in all instances, yoga creates change in the individual, restoring one to a state of balance and calm. He feels that yoga is a very dynamic tool in itself, with many avenues to explore for the student and teacher alike. Its postures, breathing, deep relaxation and meditation help the person to act and think in the best possible way and are a worthwhile tool for everyone to know. A unique opportunity to receive practices and insights to suit your personality, body type, health challenges and get direction or a personal program, therapeutic applications and health consultations according to your needs. Available by appointment.